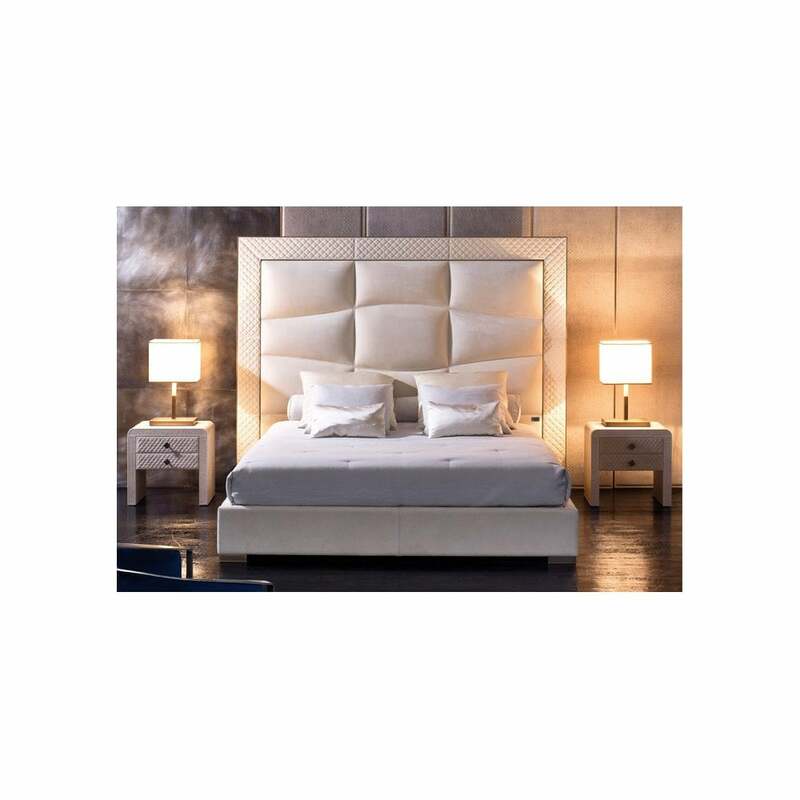 The Onda Bed by Rugiano Interiors features a tall and striking headboard fitted to a low base. This designer bed is reminiscent of 1960’s Italian design with a curved wave effect decorating the backboard. A modern reinterpretation of Italian style, the Onda headboard is available in either a metalasse or smooth panel. Finished with steel or bronze, the varying scales of geometric squares showcase the high-quality craftsmanship that goes into every Rugiano piece. Available in a range of the finest fabric and leathers, the Onda Bed looks striking in beige against a dark backdrop. Combine with other pieces in the Rugiano collection to create a scheme that would fit seamlessly into the most beautiful, Italian hotels. Available in three sizes, make an enquiry for more information.